The move from food truck to restaurant came about a year ahead of schedule for Mark BBQ, said its owner, Darrell Langworthy. The Texas-style barbecue restaurant, which grew out of a mobile food business at Five Corners in Essex Junction, celebrated its grand opening on October 13 at 34 Park Street in the same town. 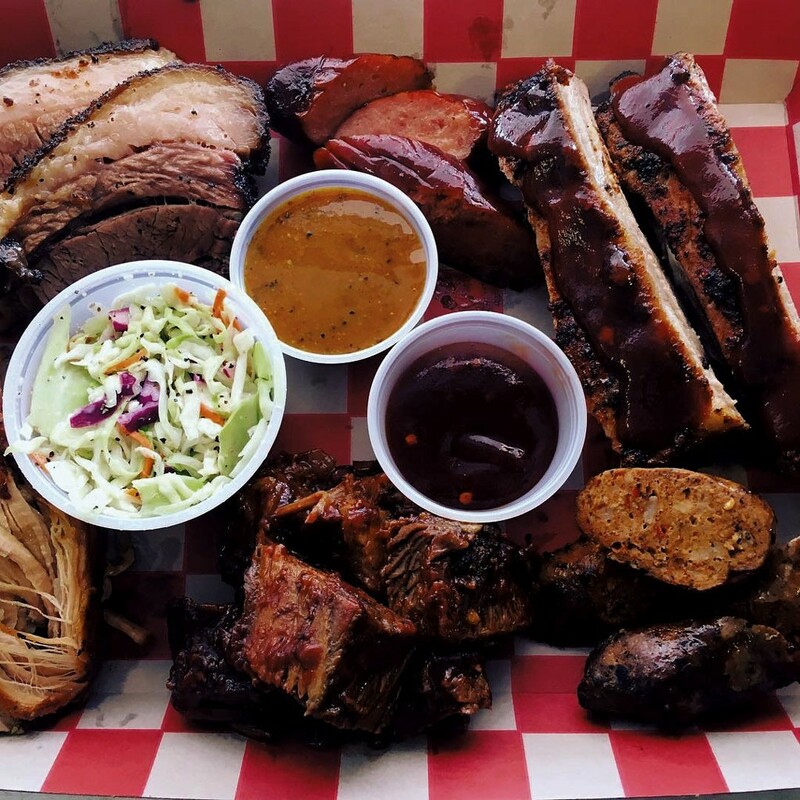 Mark BBQ serves a roster of meats — brisket, pulled pork, chicken, ribs and sausage — that it smokes "low and slow" over pecan and hickory woods. Weekend specials will include smoked prime rib and smoked pork chops. Every order comes with a side dish: mac and cheese, coleslaw, or baked beans. Langworthy, 39, is a veteran of the Vermont Air National Guard and Vermont Army National Guard who served in the military for 12 years. A former chef at the Burlington Country Club and food service worker at GlobalFoundries, he launched Mark BBQ as a food truck last spring, anticipating he'd put in two seasons before opening a restaurant. "I felt there was a need for real good southern barbecue in Vermont," Langworthy said. "We did so well, we moved into a building." Langworthy and his friends and family renovated the space at 34 Park, building barn doors for a Texas look and installing a chalkboard wall for kids to draw on. He hopes local artists will create work on that board, too. Decorations include Willie Nelson concert posters that belonged to Langworthy's late father-in-law, Mark Ivey, a Texan for whom the restaurant is named. "We want to put out great food and a sense of community," Langworthy said, "and leave our mark on people with those [things]." The owner expects to serve beer and wine in about a month. Until then, Mark BBQ is BYOB, open Thursday through Saturday from 11 a.m. to 9 p.m. and Sunday from noon to 8 p.m. The food truck will rev up next spring, Langworthy said, with an emphasis on pop-up events. The original print version of this article was headlined "Making a Mark"